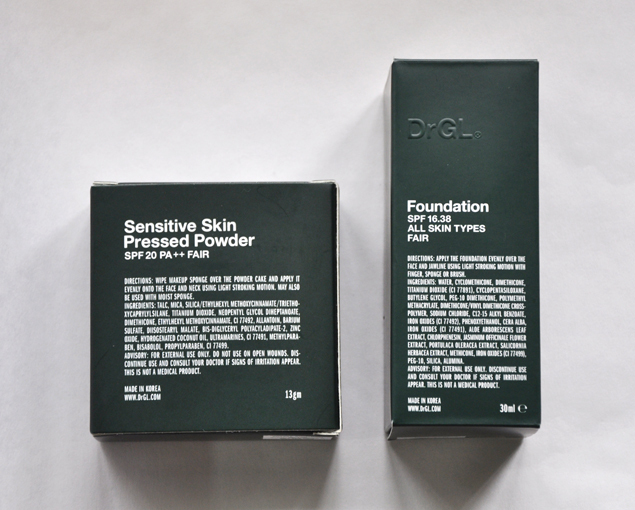 DrGL is a range of custom skincare formulated for Asian skin types. For those of you who aren’t based in Singapore, this was created by Dr Georgia Lee, a doctor well-known for providing aesthetic medical services here. In general, pressed powder can be worn on its own or used for touch-ups. 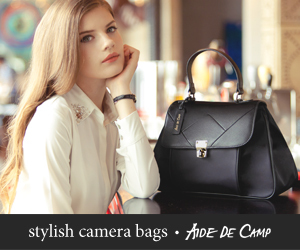 The compact case makes it really convenient to carry out and use compared to loose powder. 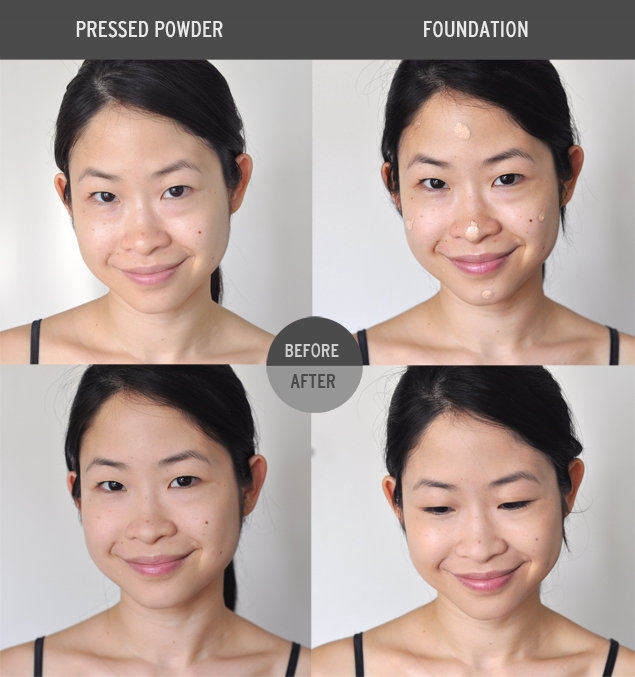 You can also use it to set foundation if you don’t want to dust with loose powder. In the left column below, I applied the pressed powder on my bare face. It definitely helped to remove shine and even out skin tone. The powder went on quite nicely and didn’t feel too heavy. As coverage is buildable, you can keep applying more in the areas that you need covered. I love that it’s for sensitive skin (me!) and had some sun protection included. Unlike some other pressed powders I’ve tried before, this wasn’t cakey and lasted throughout the day. More importantly, it managed to cover my embarrassing dark eye rings without much layering or showing through of fine lines (go lightly on areas with lines!). Lastly, the dark green packaging is definitely a nice step away from the usual black. And a separate convenient plastic lid for your sponge! While the pressed powder alone gave a matte, velvety finish, the liquid foundation is where the real glow comes in. I placed the images side by side so you can see the difference between powder alone (bottom left) and liquid foundation (bottom right) with some light dusting of powder on top. The liquid foundation gives a medium coverage and doesn’t show obvious creases where my fine lines creep in (under my eyes and my smile line) – definitely a plus point! While I didn’t think it was exactly my skin color (see foundation blobs on face), it blended quite well and I guess the difference in color wasn’t too obvious after full application. I wore this out for a day and surprisingly my T-zone, which usually gets oily, remained a-okay! 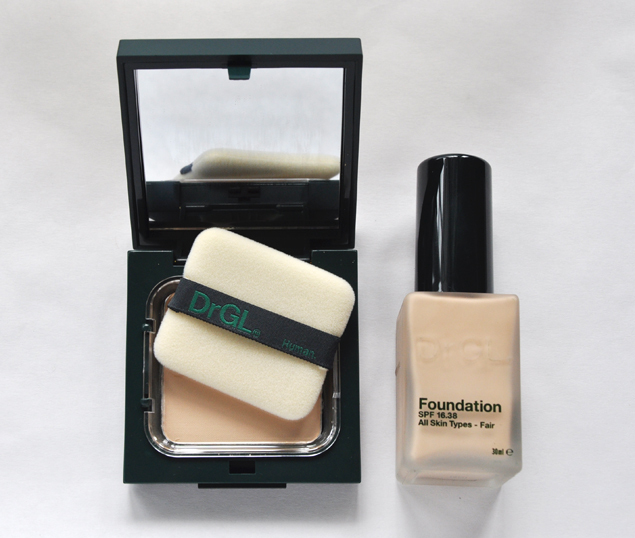 If you were to pick only one, I’d highly recommend the foundation. I find it similar to Face Atelier foundations, but with a slightly less greasier feel at the end of the day. If you are planning to go to an event with a lot of flash photography, you may want to use something else that doesn’t contain sun protection (ingredient to look out for: titanium dioxide) as it causes your face to look a lot lighter. But if not, these make great everyday go-tos as they have sun protection and work for humid summer weather. You may also be interested in their award-winning blusher blemish control and sun protection for lips too! I would like to propose a link exchange deal with your website micheleng.com, for mutual benefit of getting more traffic and improve search engine ranking, absolutely no money involve. 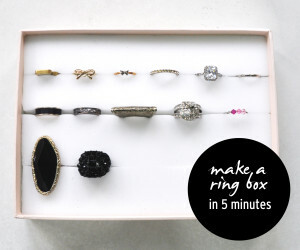 We will link to you from our Health & Fashion’s authority site – http://www.crongdor.com, from its homepage’s sidebar. In return you will agree to do the same to link back to one of our Aesthetic Clinic’s website based in Singapore, from your micheleng.com’s homepage too (sidebar, footer, or anywhere on your homepage), with our brand name Dore Aesthetic. That’s a great review of DrGL. This will definitely help who is looking to buy it. Thank you!